When I was 18 years old my mother got ill, and so she started believing in the Lord Jesus. At the time, I knew the Lord Jesus’ name but didn’t understand anything about faith in the Lord. It was quite a coincidence that I later went to work for a company where most of the employees were Christians. Through interacting with them, I saw how they treated people with love and patience, and I came to believe that Christians were a pretty good bunch of people. During that period, there was a colleague who often told me the story about how the Lord Jesus was nailed to the cross in order to redeem mankind. 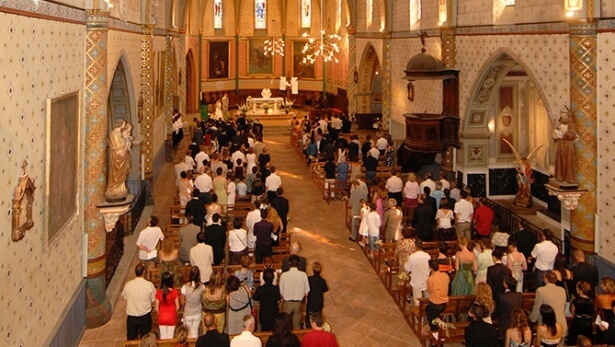 I gradually developed an interest in faith in the Lord, and started going with my colleagues to their church to worship. The first time I entered the church and heard hymns praising God being sung I was unexpectedly moved to tears by the Lord’s love. I prayed to the Lord like this: “Oh, Lord Jesus! Thank You for picking me out of the vast ocean of humanity to become one of Your daughters. I wish to follow You forever….” During that period, whenever I met some difficulties in my daily life, or was mocked by my friends and relatives because of my faith in the Lord, as long as I came in front of the Lord and prayed, my spirit would find immense release. I felt that the Lord Jesus was my only reliance in life and that I would never leave the Lord’s side. At that time my favorite hymn was: “Rock, rock, Jesus Christ! Salvation is found in no one else, for there is no other name under heaven, only You are the Savior. You are the Mediator, You are the Son of God, You are the Lamb. You are the way and the truth, You are the life, You are the light, You are the rock, the fortress, the city of refuge and the shield. We belong to You; we will never be shaken from generation to generation.” And this is how I relied on the Lord’s great power and motivation gained from the guidance of the Lord’s words to get through all the difficulties and troubles of life. But then, for some unknown reason, I started to slowly feel that I wasn’t enjoying the meetings anymore. The pastor’s sermons were always the same old stuff, without any new light in them, and I felt that I wasn’t gaining anything. My spirit began to wither, and became weaker and weaker. Because of this, I often prayed to the Lord like this: “Lord, in my heart there is no desire to go to the church meetings. When I do go I just go through the motions and don’t gain sustenance for my spiritual life. Lord, I feel helpless. I’m wandering around at a loss about what to do. Please lead me out of this.” But no matter how I prayed and begged I could never feel the Lord’s presence. The darkness and pain grew in my heart and my confidence became weaker by the day. Then, in 2014, my husband had an accident while driving under the influence of alcohol. We ended up paying 2 years of medical bills and compensation, which left us with debts of over 100,000 yuan. It was this debt pressure that forced my husband and I to relocate to Singapore to work and make more money. In April 2016 we arrived in Singapore. The stress and difficulties of everyday life here turned out to be far greater than I’d expected. 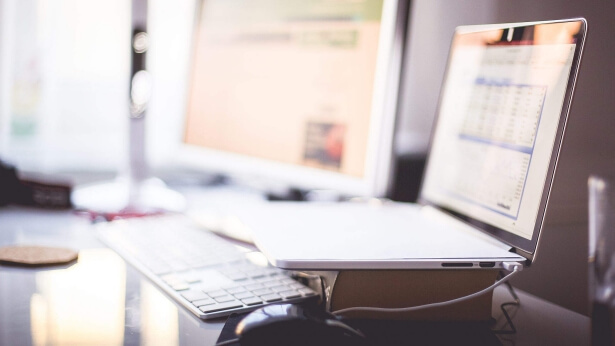 I started working over 10 hours every day, which left me physically exhausted. But even worse were the scoldings I got from my co-workers and boss in the store. This physical and psychological stress was a source of enormous suffering for me, and I cried every day after work. I felt very alone, without anyone to understand my situation or show some concern for me. Living like this was so painful that in my heart I even started to complain about the Lord. It was an environment that I could face no longer, and I just wanted to return to China as soon as possible. But it’s often the case that just when people are at their wit’s end God appears. So just when the suffering was at its worst, and I was feeling the most helpless, one of my co-workers who lived with me, Sister Wang, saw that I had a Bible on my bedside table and so told me that she too was a Christian. I was delighted to find out that Sister Wang was also a believer in the Lord, and from that day on we often got together to fellowship topics about faith in God. Sister Wang encouraged me to pray to God often in everything and to keep my faith in Him. Because I hadn’t been in Singapore very long, I still wasn’t at all used to the food. So every day after work Sister Wang used to cook dinner according to my tastes. I was very moved by this, and I knew that this kind of love came from God, so I was very grateful to God for arranging for someone to be there to support me when I was feeling totally lonely and helpless. Some time after, I was introduced by Sister Wang to 2 other sisters. The first time I got together with them I couldn’t hold back the feeling of grievance in my heart, and the tears were soon rolling down my face. The sisters comforted me and talked about God’s intentions with me. One of them said: “You’ve managed to get out of China with no problem, so that can only mean that God has permitted it and that He intends something wonderful for you here. We just don’t know what it is yet.” The sister also leaned upon the story of Job from the Bible in her fellowship with me: “Job lost all of his immense wealth and all of his sons and daughters. He even had boils all over his body, but during that time of his greatest trials and suffering he never once complained about God. He just submitted to God’s plan for him and praised God’s name. When Job stood firm and bore witness for God during his trials he saw God’s blessings. From the trials of Job we can see that many of the things that befall us all have God’s intentions behind them. So no matter what kind of situation or environment we encounter we must not complain against God. Instead, we should first submit and seek God’s intentions….” While listening to the sister’s fellowship my heart gradually became tranquil. Yes, Job was able to submit to God even during the tremendous trials and suffering that he underwent. He didn’t complain and was even able to praise God’s name, which was such a wonderful testimony! And my difficulties were trifling compared to Job’s, so if he could still submit to God then I shouldn’t complain again and make God sad. The sister’s fellowship gave me the confidence and courage to once more face my problems, and in my heart I felt considerable release. 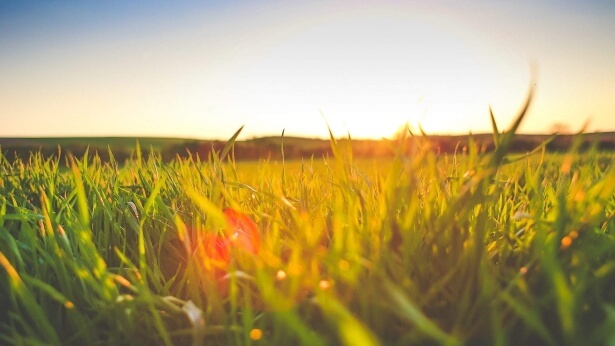 At the same time, I felt that the sisters’ fellowship was full of brightness: They had used the story of Job to illuminate my current difficulties in life and shown me a practical way forward. This was something that I’d never previously recognized when reading the Bible. The meeting was very fruitful for me, and after it I could feel my spirit growing brighter by the day and work was no longer so troublesome. After that, I often met with the sisters, and every meeting with them was very rewarding. One time when we were together we read this passage of God’s words: “God created these two people and treated them as His companions. As their only family, God looked after their living and also took care of their basic necessities. Here, God appears as a parent of Adam and Eve. … The attitude and way in which God treated Adam and Eve is akin to how human parents show concern for their own children. It’s also like how human parents love, look after, and care for their own sons and daughters—real, visible, and tangible. Instead of putting Himself in a high and mighty position, God personally used skins to make clothing for man. It doesn’t matter whether this fur coat was used to cover their modesty or to shield them from the cold. In short, this clothing used to cover man’s body was personally made by God with His own hands. Rather than creating it simply through the thought or miraculous methods as people imagine, God had legitimately done something man thinks God could not and should not do. This may be a simple thing some might not even think as worthy of mentioning, but it also allows all those who follow God but were previously full of vague ideas about Him to gain an insight into His genuineness and loveliness, and to see His faithful and humble nature” (“God’s Work, God’s Disposition, and God Himself I” in The Word Appears in the Flesh). I was very surprised to read these words, as the ideas seemed strange to me. I’d been reading the Bible for so many years, but the significance of God personally clothing Adam and Eve in animal skins had never occurred to me. I certainly never realized that behind God’s performance of this action there was so much of God’s intention. It was like a light had been turned on in my heart, and it was unveiling the mysteries in the Bible for me. What God had said was expressed so well that it warmed my heart and allowed me to see how intimate God’s relationship with mankind was. God was like mankind’s parents, full of care, concern, and affection. God gave us the best things, which proves His immense love for us humans! It felt like my relationship with God had instantly become much closer. After that, I read another passage of God’s words: “Since the creation of the world I have begun to predestine and select this group of people, namely, you today. … Even the things you do and the people you meet every single day are arranged by My hands, not to mention the fact that bringing you into My presence today is actually My arrangement. Do not throw yourself into disorder; you should proceed calmly” (“Chapter 74” of Utterances of Christ in the Beginning in The Word Appears in the Flesh). This passage explains that whatever we do or whoever we see every day of our lives is all organized by God. Reading this opened up my mind tremendously. So, the reason I’d gone overseas, and the reason I’d met the sisters and gotten their support, were because God was controlling everything! Since God had led me every step of the way so far then it made sense to believe that God had also prepared the way forward for me. Thinking like this increased my trust in God. I felt that God was at my side watching over me, and I no longer felt hesitant or helpless. I was willing to hand over the management of everything to God, and believed that He would lead me through any and all difficulties. During those days, even though work was still as tiring as ever I felt great joy in my heart. I looked forward immensely to my meetings with the sisters because I could always gain sustenance from them and learn something new, which was completely different from what I’d gotten from going to my previous church. But a few days later when I was watching a gospel movie with Sister Wang I suddenly saw the words “Eastern Lightning” come up on the screen. I became a bit agitated because I remembered that in China the pastors had often talked about Eastern Lightning in their sermons. They said things like: “People who believe in Eastern Lightning aren’t calling on the name of the Lord Jesus in their prayers. 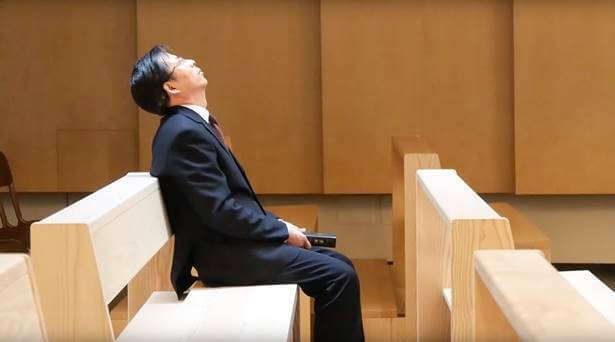 Instead, they’re praying to Almighty God.” The pastors also warned us not to have any contact with the Eastern Lightning followers so that we wouldn’t be confused and stolen away by them. They said that if we abandoned the name of the Lord and betrayed the Lord Jesus we would be…. Thinking of all this made me alarmed, and I quickly broke off the conversation with Sister Wang. For a period of time after that I started to avoid Sister Wang at work, but I still often thought about the care that she had shown for me. I thought about the nice times I’d had meetings with them and how their fellowship was fresh and enlightening and totally in accord with the Lord’s words. They were also decent and upstanding in their behavior, and I particularly gained a lot from the passages of God’s words that they gave me to read, which I found to be very practical and which included many truths that I’d never heard before. After reading those words, I felt that my relationship with God was growing closer and that I was coming out of the negativity, weakness, and spiritual darkness that had engulfed me. I had finally gotten some confidence and hope in my life. This was the confirmation of the work of the Holy Spirit! This was also proof that Sister Wang and the others had a faith that was right, and was probably actually the one true way! But the one thing I couldn’t get past in my mind was why when they prayed they used the name of Almighty God and not the name of the Lord Jesus. I felt very bemused by this and didn’t know what to do. 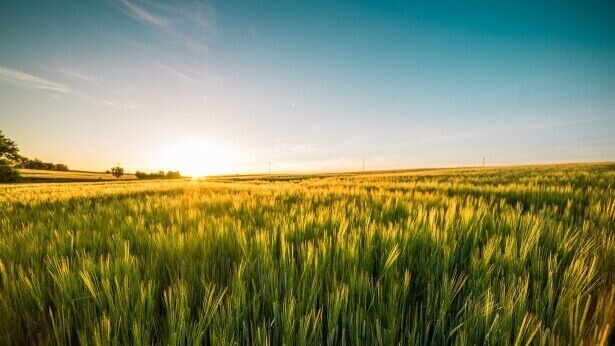 So I said this prayer to God: “God, You have arranged for me to become acquainted with a few sisters and have let me learn that they believe in Eastern Lightning and use the name of Almighty God in their prayers. Now I don’t know which way to choose or whether or not Eastern Lightning really is Your return. 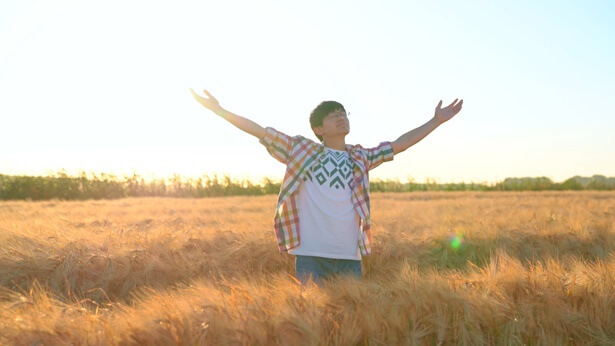 God, if Eastern Lightning really is Your appearance, I beg You to enlighten and guide me so that I can follow Your footsteps.” After praying, my heart felt more grounded and I was able to discuss with Sister Wang the doubts that I’d been having. Sister Wang said: “These issues that you’ve raised are exactly the same ones I had when I first started investigating God’s work of the last days. It was only after I read the words of Almighty God that I was able to understand these issues. Why don’t we fellowship about God’s words now?” After hearing Sister Wang say this, I agreed to start investigating God’s work of the last days. That evening 2 more sisters came over (Xiaoya and Lianxin) and they both bore witness to God’s work of the last days for me. After listening to their fellowship, I asked them: “We used to use the name of the Lord Jesus in prayer and call on His name to heal sickness and cast out devils. 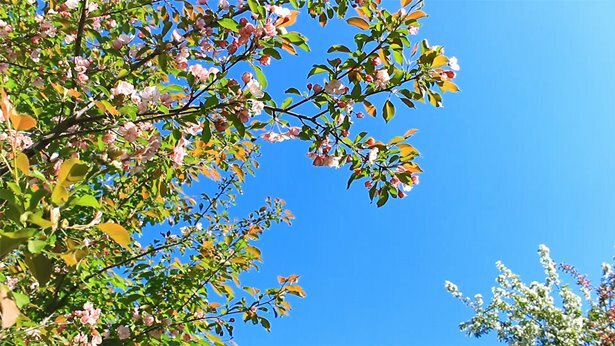 Why has God’s name changed to Almighty God?” Sister Xiaoya replied: “Actually, regarding Almighty God’s name, there are several prophecies about it in the Bible, in the Book of Revelation. For example, chapter 1 verse 8 says: ‘I am Alpha and Omega, the beginning and the ending, said the Lord, which is, and which was, and which is to come, the Almighty.’ Chapter 11 verse 17 says: ‘Saying, We give you thanks, O LORD God Almighty, which are, and were, and are to come; because you have taken to you your great power, and have reigned.’ And chapter 16 verse 7 says: ‘And I heard another out of the altar say, Even so, Lord God Almighty, true and righteous are your judgments.’ From this we can see that during the last days God is using the name Almighty God to begin the work of judgment. 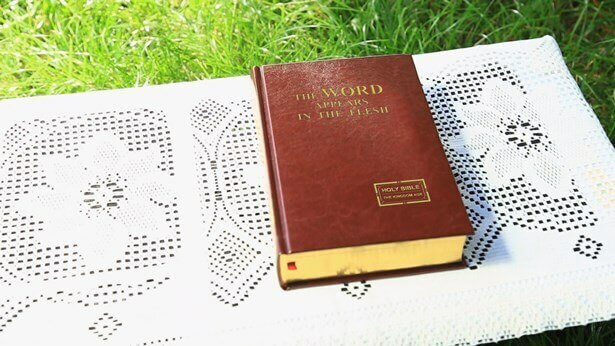 This is something that God has planned for long ago.” After listening to the sister’s explanation, it all suddenly became clear to me: The name “the Almighty” is in the Bible! And the Almighty must mean Almighty God! Then sister Lianxin played a hymn video of God’s words: “In each and every age, in each stage of His work, God’s name has carried weight. God’s name hasn’t rung empty. His every name reflects an age. 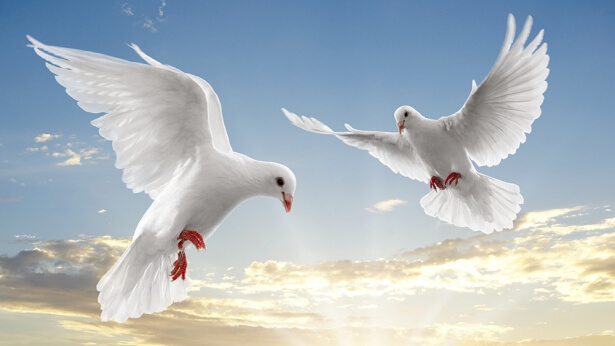 Jehovah, Jesus, and the Messiah all represent the Spirit of God. Yet these names just represent the ages in God’s management, but not His entirety. The names people on earth call God can’t express His entire disposition, can’t express all that He is. They are just God’s names in different ages. And so, when the final age—the age of the last days—arrives, God’s name will change once more. He won’t be called Jehovah nor Jesus, much less the Messiah. He will be called the powerful and almighty God. And with this name He will end the age. God was once known as Jehovah. He was also called the Messiah. And out of love and respect, people used to call Him Jesus the Savior. Today God is not Jehovah nor Jesus, whom people knew in the past. He is the God who’s returned in the last days, the God who will end this age. Replete with His entire disposition, full of authority, honor and glory, He is the God, the God Himself, He is the God Himself who rises up at the ends of the earth. He is the God who rises at the ends of the earth. … The reason God took on this name, on this name and disposition is to make man see that He is a righteous God, that He is a righteous God. He is the sun, the blazing sun. He is the flame, the searing flame. So all of mankind will worship Him, the one true God. And they, they will see His true face: He is not only the Redeemer. He is not only the God of the Israelites. But He is the God of all creations on earth and in the heavens or seas” (“The Significance of God’s Name” in Follow the Lamb and Sing New Songs). After watching the video the sisters fellowshiped a lot more with me, such as truths regarding why God changes names and the significance of God’s name for each age. This is when I finally understood: God is called by a different name during each age, and each name has a meaning that is representative of God’s disposition and the work that He needs to do during that age. But each name that is chosen is only representative of part of God’s disposition during that age, not His whole disposition. For example, the name Jehovah represented God’s work during the Age of Law and also represented God’s disposition of curse and mercy. The name the Lord Jesus represented God’s work during the Age of Grace, and the disposition represented was love and mercy. During the last days God has changed His name again, and is using the name Almighty God to do the work of judgment of the last days. The entire age is being brought to an end through God’s disposition of righteousness, majesty, and wrath. 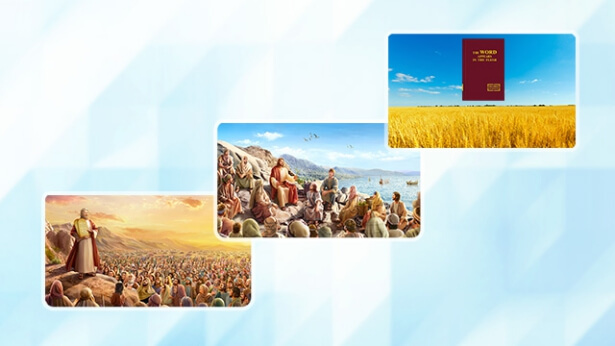 God’s disposition becomes gradually revealed to mankind as His work develops and God doesn’t wish for mankind to delimit Him to any one stage of His work. God especially doesn’t wish for mankind to use any one name to draw up boundaries for what God has and is. God uses different names to differentiate between different ages and do the work necessary for each age so that people can recognize all of God’s disposition and all that He has and is. This is God’s wisdom and omnipotence. When the day finally comes when God’s work is finished there will be no need to call God by any name. God is the Creator of all things, God is God, and God’s authority and greatness cannot be encompassed within any one name. I feel that Almighty God’s words are full of authority and that only God is able to speak in this way and uncover the mystery of His name. And only God is able to say: “I am the God of all creatures throughout heavens and earth and seas.” I now believe that Almighty God is the returned Lord Jesus and that the words of Almighty God are God’s utterances, are the voice of God. This was the moment when I realized why my spirit never gained the sustenance it needed at those church meetings and why using the name of the Lord Jesus in prayer couldn’t gain the leadership of the Lord: It was because the work done under the name of Jesus has already finished. God is now doing new work and so has a new name, and so anyone who calls on the name of the Lord Jesus in prayer will not get the work of the Holy Spirit. This was like an epiphany for me. I now understood why Sister Wang and the other 2 sisters gave such fresh and lively fellowship, why they understood so much about faith in God, and why they had such strong confidence and strength: It was all because they had accepted God’s new work, gained God’s new words, and were following the footsteps of the Lamb. By contrast, all those people who don’t accept God’s work of the last days and don’t read the words currently being expressed by God will never follow the footsteps of the Lamb but will live their lives in darkness without a path to follow. Only God is the sustenance for human life, and if mankind moves away from God’s leadership we will wither and die. I couldn’t help but silently give praise and thanks to God. I thanked Almighty God for leading me in welcoming the return of the Lord, making me become certain about Almighty God’s work of the last days, and allowing me to follow the footsteps of the Lamb and gain nurturing and sustenance from God’s words. All glory be to Almighty God! Amen! Next：Listen! Who Is This Who Speaks? ‘being saved’ is merely a forgiveness of man’s sins. That is, God does not regard people as being sinful, although this does not mean that people themselves do not have sins. Therefore, being saved does not mean that we are completely purified and saved. If we want to be purified, we have to accept God’s judgment work of the last days. Now the Lord has indeed returned, we must be humble and seek. We must not be like the Pharisees in their treatment of the Lord Jesus, God’s first incarnation and blindly use knowledge of the Bible and notions and imagination to determine God’s new work. 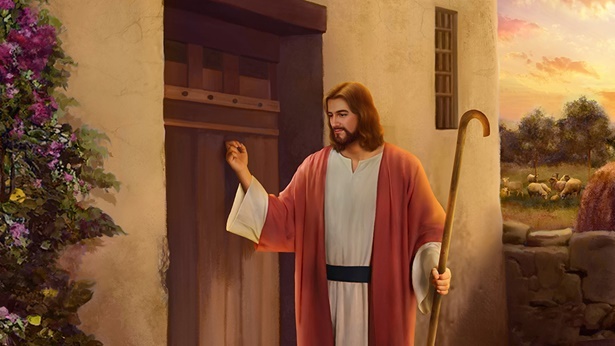 The Lord said, “Ask, and it shall be given you; seek, and you shall find; knock, and it shall be opened to you: For every one that asks receives; and he that seeks finds; and to him that knocks it shall be opened” (Mat 7:7–8).